It’s Downtown Tuesday in San Antonio today and I’m sharing one of my favorite downtown sights with y’all. 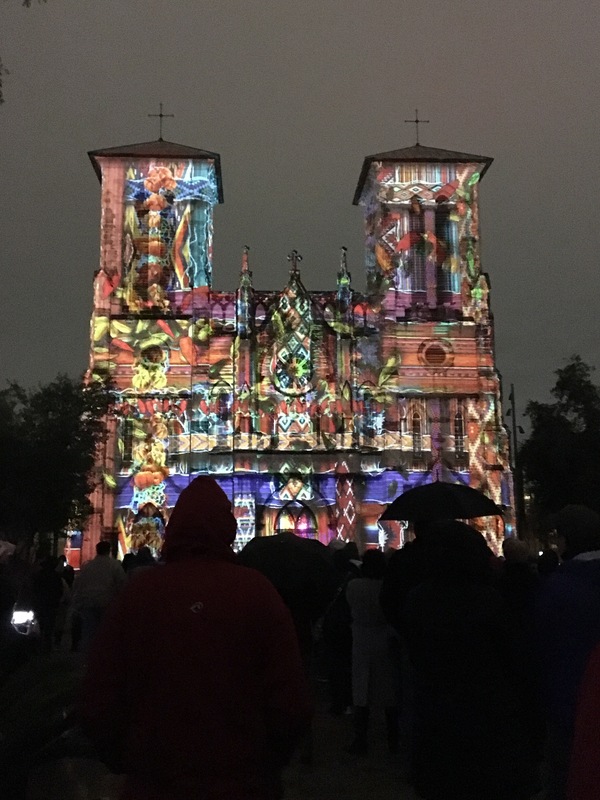 On pretty much any weekend night and Tuesdays, in the Main Plaza of the San Fernando Cathedral, you’ll stumble upon a crowd gathered to view a video art installation on the Cathedral. There’s always amazing things to do in this city. 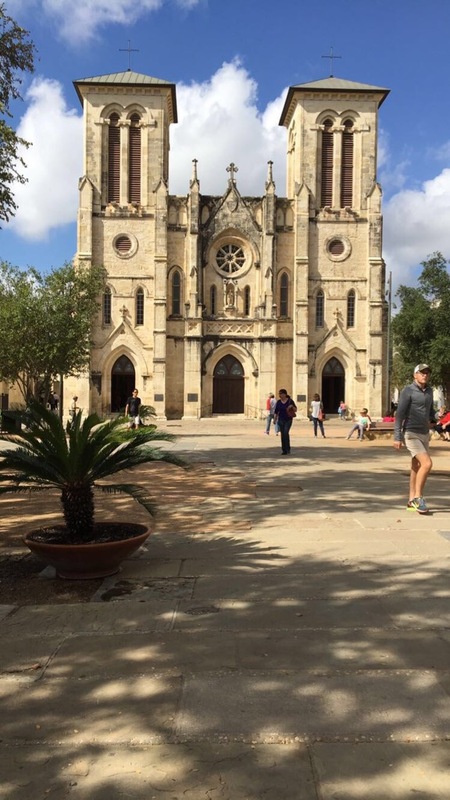 San Antonio The Saga is a beautiful must for residents and tourists, and it’s free! 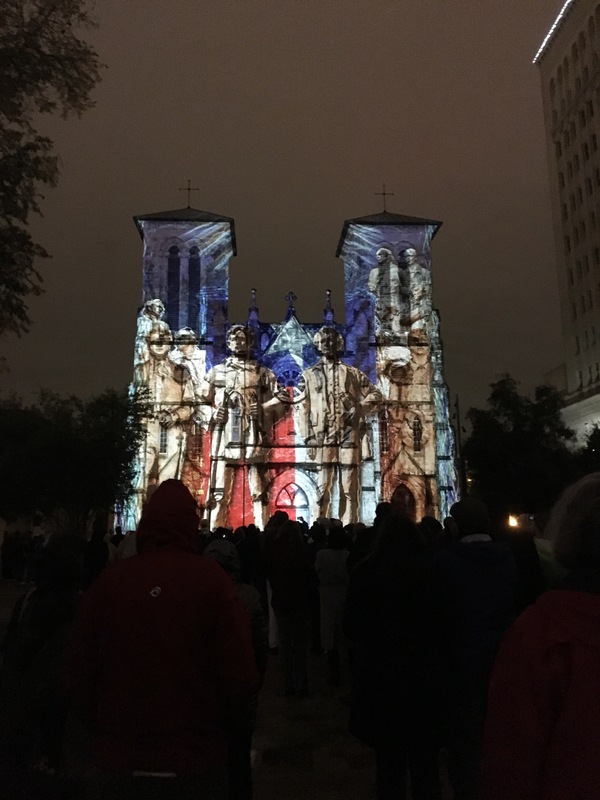 Created by artist Xavier de Richemont, you will see his interpretation of the history of San Antonio and Texas. This show has been projecting on the Cathedral front since 2014. It shows every Tuesday, and weekend nights. Runs almost half an hour long, with start times of: 9 PM, 9:30 PM, and 10 PM. Again, this is one of my San Antonio favorites, and anytime I’m downtown around the show times, I’m there. So if you’re downtown on one of these days go check it out!